Choosing the correct folding electric wheelchair can make a huge & positive impact on a person during their daily living. 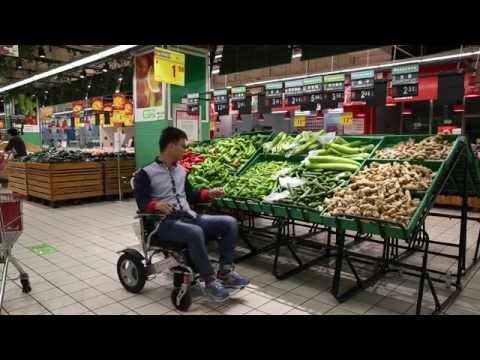 We’re heading to the times where people with disabilities and are searching for more out of their power wheelchairs that meet their needs & the demands to get out more and keep their independence. Most seniors have enjoyed lifelong freedoms by being able to walk distances but nowadays their legs are not what they used to be so they eventually just do less, except that it is age and convince themselves that being at home is better for them because of being a falls risk. Problem with this is that it can also build stress within themselves and ultimately stress makes us unhappy. Do9 EagleHD power wheelchairs can be a solution to offering peace of mind when you’re out and about, and to help you maintain your independence. This also includes flying to countries around the world to unlock the secrets of travel and this power wheelchair will be a must-have that will meet all your needs to do so. 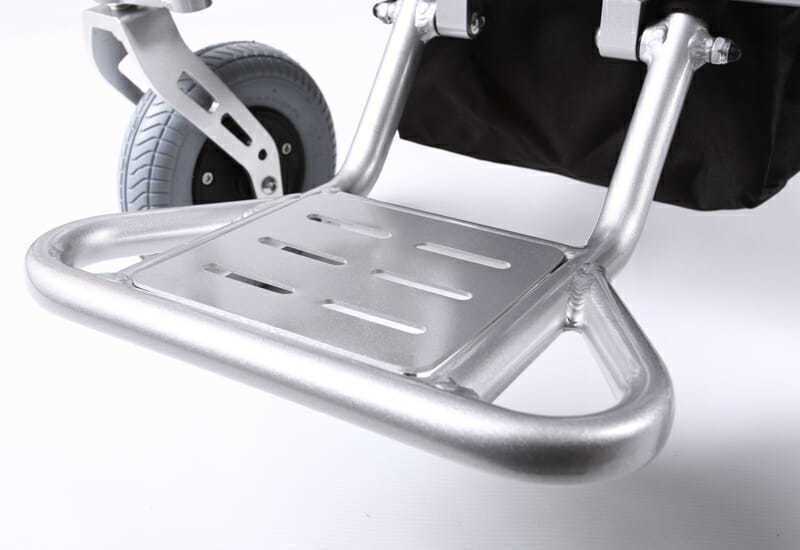 DO9 Eagle HD is an extremely lightweight power wheelchair compared to its competitors, easily folds and unfolds in seconds & is a show stopper in look & feel. 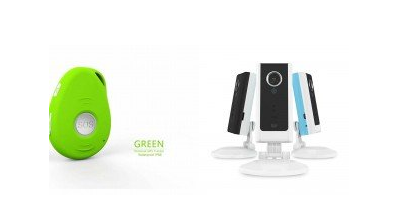 It is comfortable & is accepted by nearly all airlines because of its compactness & the easily removable & lightweight lithium batteries, which means, that you’re now taking even more control of your life. The off ground height of DO9 EagleHD is comparable to that of an all-terrain model so you’re basically getting twice the value. 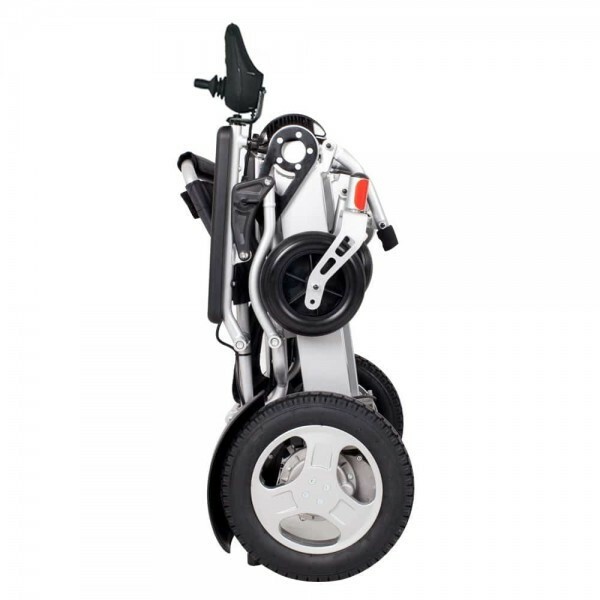 Our DO9 EagleHD folding wheelchair is increasingly getting popular for people that want to unlock the secrets of travel not only in Perth but, right around Australia and the world. Compare our commitment and what the EagleHD offers against a comparable competitor to appreciate the value. Most of its competitors have the batteries directly under the seating or on the rear which also means that they could get damaged. Powered by two lithium batteries that are discreetly nestled within the side of the framework & will take you approximately 25 kms before they need charging. Secondly, you can plug it directly into one of the batteries. Either of these options charges both batteries. And the EagleHD is aeroplane friendly, which means, you’re also unlocking the secrets to hassle-free travel instantly. The controller on this power wheelchair has improved high-quality components which gives the user a smooth & more responsive experience. The electronics adjusts itself to improve driving over a carpet, rugs, tiles and most outside surfaces giving you better control, smoother driving & confidence. It’s very intuitive and offers excellent maneuverability & will turn on a sixpence which is ideal for going anywhere with tight spaces. 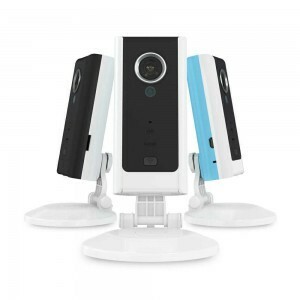 It is especially handy around your home or at your workplace because it’s not bulky. The controller can also be placed on the left or right side of the armrests so you’re well covered. The Eagle HD has an Intelligent regenerative disc brake system. It’s a bit like the anti-braking systems on cars where it stops easily so no more harsh jerks. 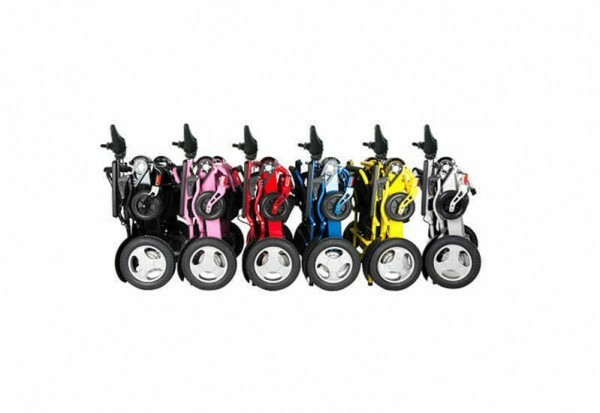 It stops on hills and can handle a gradient of 12 degrees with ease. The electronics will engage the braking system and the EagleHD will stop offering you peace of mind. This means you can go up most hills in a city & including abroad. The height is comparable to that of an all-terrain model so you’re basically getting twice the value. 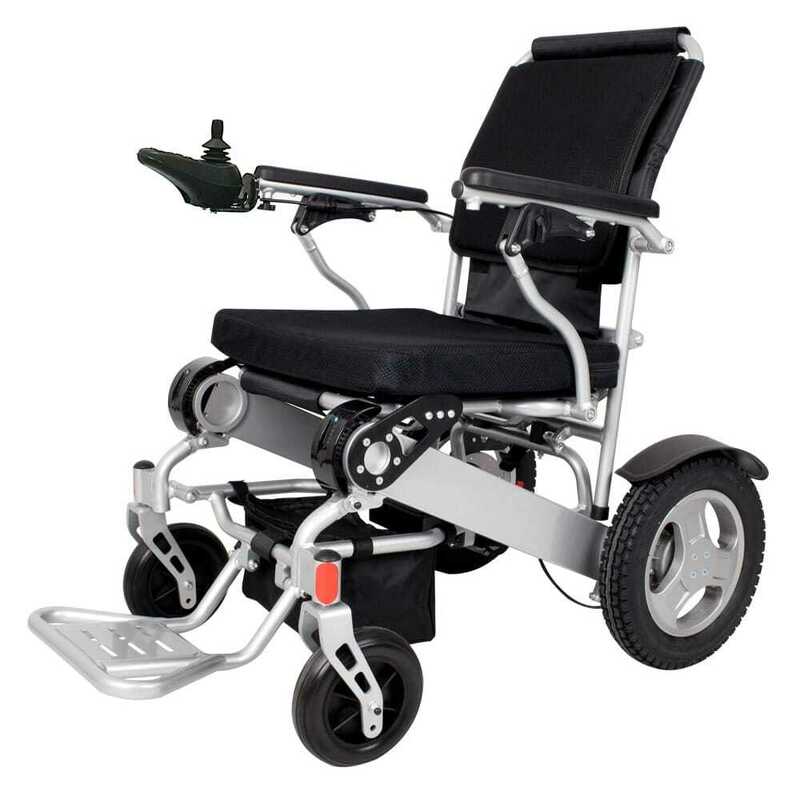 This power wheelchair is driven by two powerful 250 watt brushless motors that are quiet & collaborates effortlessly with the high-quality electronic components in the controllers. A further 24 months on the motors to give you that extra peace of mind & confidence in us. 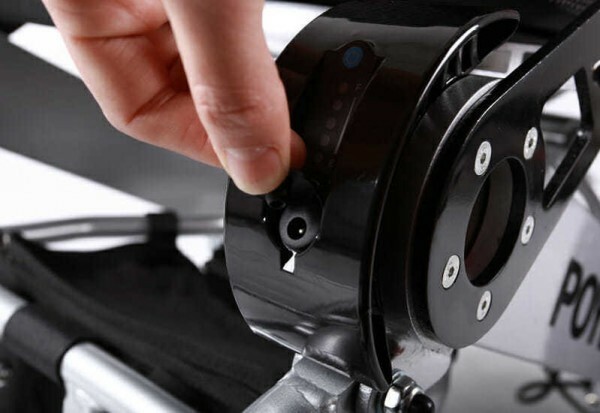 Eagle HD power wheelchairs are virtually maintenance free, however, to get longevity out of your folding electric wheelchair, we give you the first service, back to base, free. We recommend a service at least once a year. Further details can be noted in the Tabs below. We supply all spare parts that can meet your needs in the unlikely event that something may go wrong outside your warranties. The Eagle HD is an engineering tour de force that is incredibly light strong and durable due to the grade of metal alloy used. The grade is #7003. The 7000 series aluminium alloys’ composition is produced in many tempers and is within aeroplane quality, which means, it is highly non-corrosive. It was first developed in Japan by a company called Sumitomo Metal in the 1940s’ and its first production went into aircraft. Demonstrations are by appointment in the comfort of your home because we want you to experience how user friendly the Eagle HD manoeuvring around tight spaces such as passageways & turning into a doorway. Areas covered: Yanchep to Mandurah. Indian Ocean to Bakersfield. Call 1300 884 975 now! Lithium battery – chargeable on or off-board. 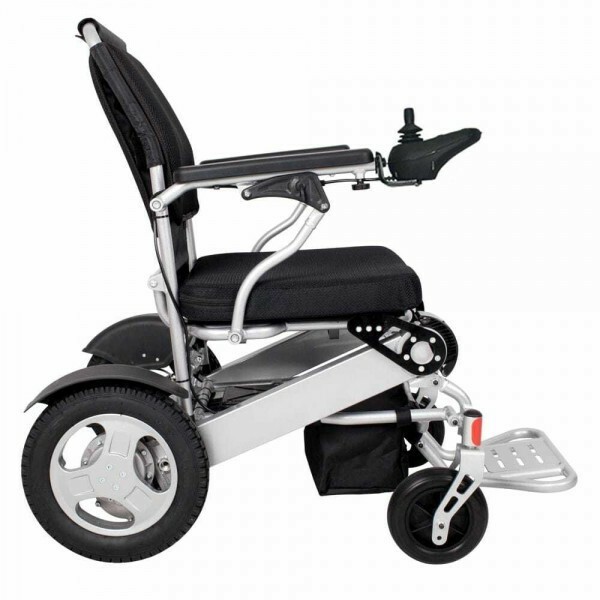 The Eagle HD folding wheelchair is available in Perth and we can post right around Australia. Our commitment is that we will offer you unparalleled aftersales support and ensure that the user meets road safety protocols to ensure they are safe. Email us or call our customer care advisor direct on 0449 703 286 to find out more.